« What Became of Miss McGee? We are seeking information on the whereabouts of “Kevil”. 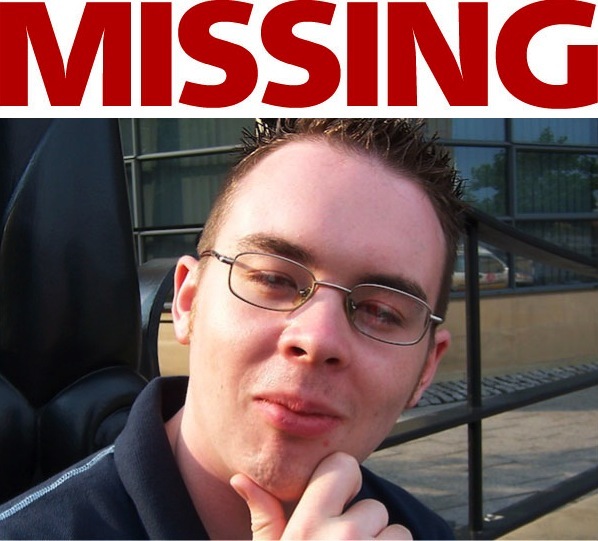 He is a bit taller than me and has far longer legs, and is characterised by turning up here and posting comments after weeks away just as I finally get round to making my hilarious “missing” poster, which I’m using anyway because I’ve made it now. If you have any information about this individual please raise your hand. I’m not sure I’ve ever seen him before, but he seems like a top chap. He looks like the kind of guy who’d be busy doing lots of DIY type stuff that meant he didn’t have a sofa or any flat surfaces that aren’t covered in paint or stuff. And I’ll bet he hasn’t had any real leisure time for ages, and is a bit tired after a long squark. Have you looked under the mat by the front door? I looked there first, but there was only a small group of chins trying to work out how to beat up a gathering of pointy noses. He looks to me like he sort of miscreant who would think doing up his house is somehow more important than a shared blog. I can’t understand that sort of person. That sort of person needs to be taught a harsh lesson, possibly with the use of a plane many thousands of feet in the air, my big boots and the distinct lack of a parachute. That would show him. A harsh lesson is just what needs doling out. If only we knew something of his whereabouts. Firstly, if I were him I wouldn’t wanna know me. Secondly, if I were him again long enough to get around the fact that as him I wouldn’t want to know him, I would have removed that awful photo by now. As me, as in me, I do want to know me, but while knowing me I understand what you, as in you, are saying about if you were him, as in him, you wouldn’t want to know him. He’s been back and he hasn’t made any comments about it. So if I were him, as in him, I would have made a comment about it by now. What a massive him he is! He’s the biggest him I’ve ever come across. I’m so Me I am. Yeah, and that’s why you sir are berated. I’d go further than that and say that Kev is incredibly, almost unbearably Kev. It is his unwillingness to be anything but Kev which is categorically the main problem here. He’s also not very sibilant.